Hyperkalemia is a condition in which the levels of potassium in the blood stream are abnormally high. Because the normal range for the level of potassium is narrow, small changes in the level of this electrolyte can have significant health effects. The treatment of hyperkalemia involves the use of several drugs. One of those drugs is sodium bicarbonate. Kidney disease is usually a factor in hyperkalemia. The most common causes of hyperkalemia are conditions that affect the kidney’s ability to filter excess potassium from the blood and into the urine. These conditions include acute and chronic kidney failure; glomerulonephritis, or inflammation of the glomeruli, the microscopic unit in charge of filtering the blood inside the kidneys; and obstructive causes of kidney disease, like kidney stones and cysts. Other conditions that cause hyperkalemia include Addison’s disease, which is due to a deficiency of aldosterone, a hormone important in the removal of potassium and sodium in the kidneys, and uncontrolled diabetes mellitus. The initial symptoms of hyperkalemia are usually mild and include muscle weakness and paralysis, nausea and fatigue. The most dangerous complications of hyperkalemia are arrhythmias, or abnormal hear rhythms. These arrhythmias can cause skipped beats, dizziness, shortness of breath and chest pain. A dangerous arrhythmia, called ventricular fibrillation, makes the heart quiver in place, decreasing its ability to pump blood. 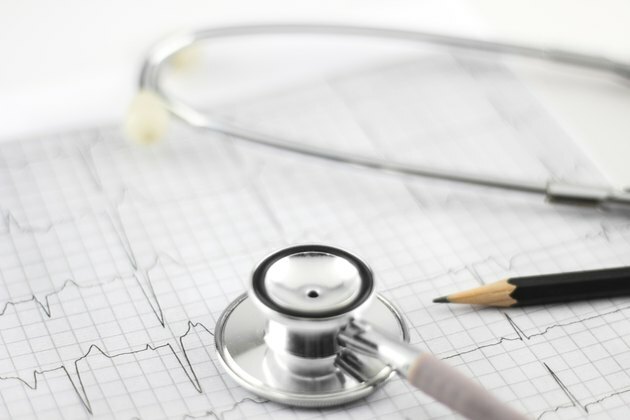 This arrhythmia can lead to sudden cardiac death. The treatment of hyperkalemia involves protecting the heart against the onset of arrhythmias, and decreasing the level of potassium in the bloodstream. One of the medicines used to decrease hyperkalemia is sodium bicarbonate. Other medicines that help decrease the level of potassium include insulin, which helps drive potassium into the body’s cells; cation-exchange resins, which decrease the absorption of potassium from the gastrointestinal track; and diuretics, to speed up the excretion of potassium into the urine. Sodium bicarbonate works by increasing the movement of potassium from the blood into the cells. The body stores potassium inside the cells, with only a small amount in the bloodstream. Acidosis, in which the bloodstream becomes acidic, causes an increase in the release of potassium from the cells into the blood. Acidosis can be caused by diabetes, severe dehydration and certain medicines. Sodium bicarbonate decreases the acidity of the blood, which then reverses the release of potassium out of the cells. Why Give Glucose and Insulin for Hyperkalemia?